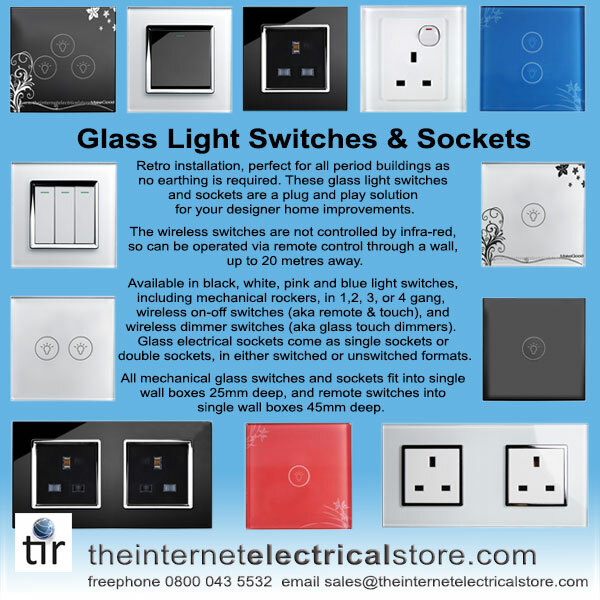 Thank you for choosing illucio switches, sockets and electrical accessories. 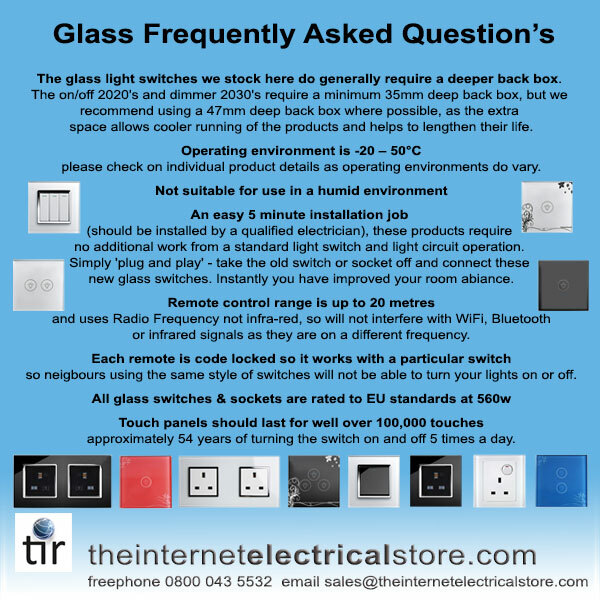 To ensure the correct application of the product, please read through the instruction leaflet which is included. 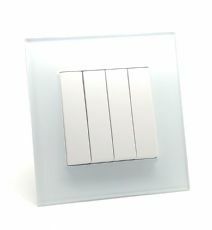 This switch is operated by an on/off rocker switch and is 2 way. 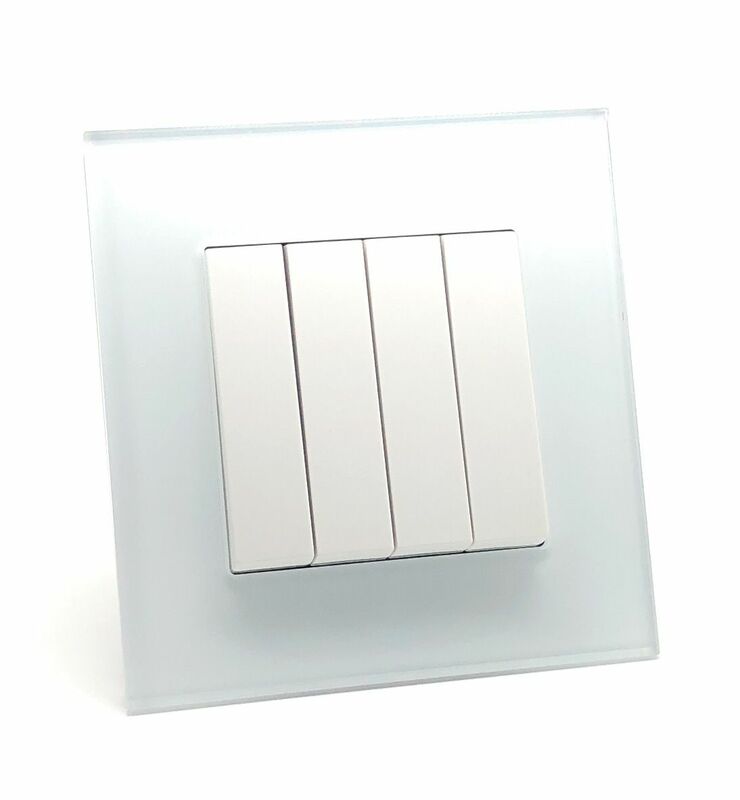 This light switch comprises a glass surround and concealed fixing screws and will fit in a standard sized 35mm deep single wall box. Separate the plate from the subframe using a screwdriver of soft flat object. 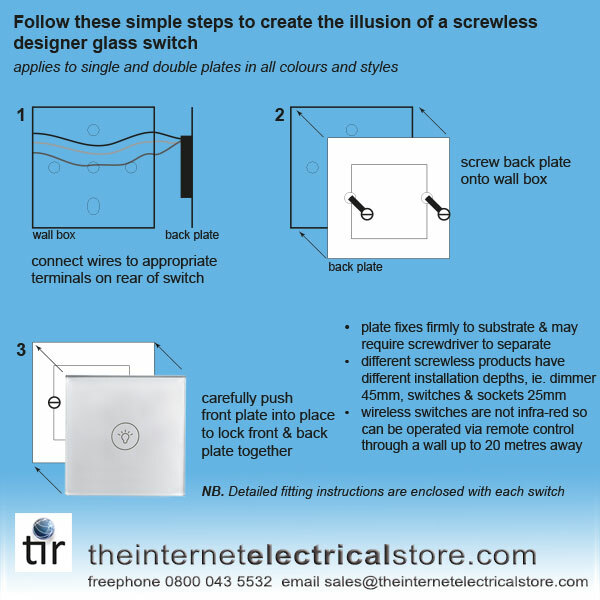 Install the switch or socket into the box with the screws provided. Re-attach the plate to complete the installation. Please ensure you have the correct depth of flush or surface mounted back box. Please ensure there is nothing protruding inside the back box or on its surface to ensure the correct installation. Always use the correct cable rating and type for the application required. All illucio light switches and sockets come with a 1 year warranty and comply with all CE safety standards and regulations and are rated to EU standards for loads up to 1000 watts.